A northbound Union Pacific train bound for Bakersfield and beyond negotiates a short uphill climb after descending the long and twisty grade from Tehachapi. We're near Sand Cut at dusk; the lights of Bakersfield lie just ahead, around the curve. 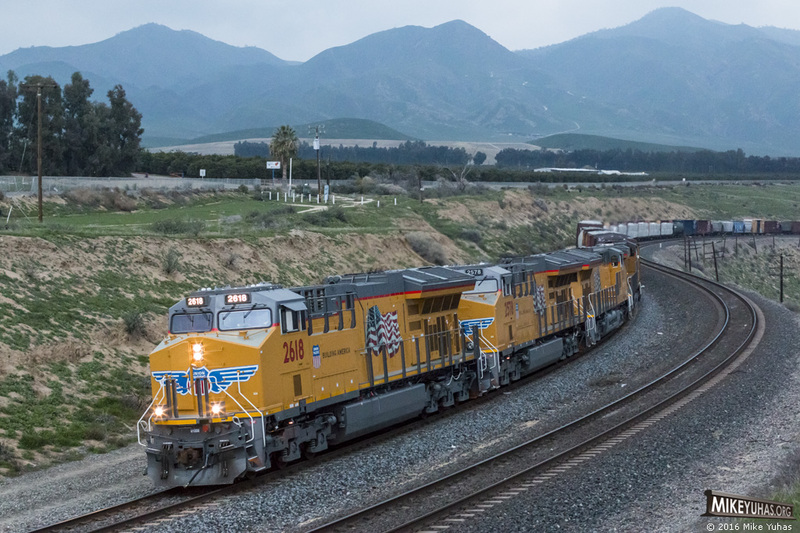 Train is powered by four big GEs, including a trio of month-old ET44ACs.